Abstract: Is there a way of locomotion green, convenient and cost-effective? The answer is definitely yes. Airwheel intelligent self-balancing scooter meets the above requirements. The economy on a rise and people better-off more and more, the number of personal cars soars. Behind this optimistic case lay the wretched traffic, which leaves people with nothing to do but to keep a long queue before the traffic gets back to normal. What is worse, the amount of exhaust rises as with the hike in cars, colouring the already-fragile environment. Under such circumstance, Airwheel X8 comes into being, bringing people an intriguing experience of riding. Such transporters as bicycles and electrically-scooter scooters come as a blessing to people-at the same time as a curse. The issues caused by them encompass the likes of scarcity space for parking and wickedly short range. Though traveling fast, personal cars cost highly and are subject to traffic jam with producing a considerable amount of exhaust. Is there a way of locomotion green, convenient and cost-effective? The answer is definitely yes. Airwheel intelligent self-balancing scooter meets the above requirements. 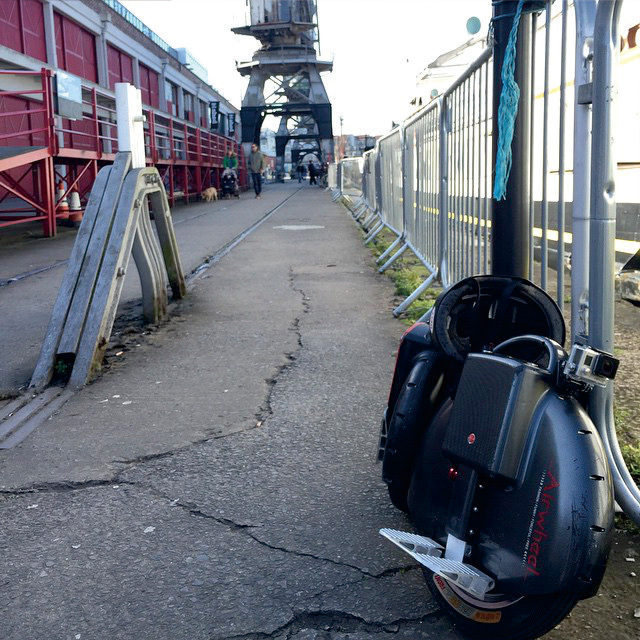 Being a transport, the electric scooter poses big demands on the safety. Airwheel is the sate-of-the-art means of transportation adopting aerospace attitude control theory, fuzzy software algorithm and gyroscope system to maintain balance by leaning forward and backward. Riders can control the vehicle to go forward, accelerate, decelerate, and brake, etc. by leaning forward or backward. Similar to the techniques of riding a bicycle, the riders achieve balance on Airwheel by slightly tilting sideways. Airwheel electric scooter weighs 11 kg, but with an extraordinary range of 23km. The top speed attains 18 km/h, adding to the convenience of locomotion. To go to school, work or for excursion, Airwheel electric scooter invariably comes in handy. With the access to charge, you will bask in the experience of riding Airwheel scooter. Being a necessity, the durability assumes an utmost importance. 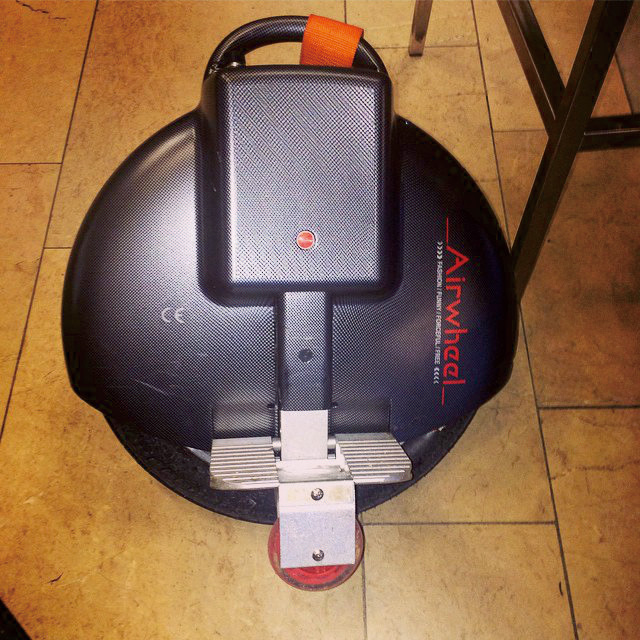 Airwheel attached a great importance to the durability of products. High-quality materials enable each Airwheel models to stand up to impact, vibration and intense heat, extending the life. The battery holds 1800-time recharge, as 3.8 times as the common counterparts with no hidden danger of combustion and explosion, enhancing the safety. The carbon-fibre texture sets Airwheel scooter s apart and represents them dashing and stylish. Riding it, you will be the limelight. The world is capricious, and effects considerable changes each day. In order to keep track of the modern tempo and go green, you must have a set of Airwheel scooter.